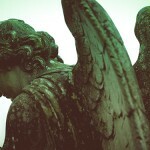 Guardian angels are often noted in films, books, and popular culture. What does the Bible teach on this issue? While the Bible never mentions the phrase “guardian angels,” Scripture offers seven important principles on this matter. First, God sends angels to serve those who will inherit salvation. 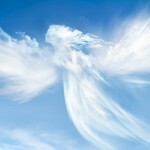 Hebrews 1:14 says, “Are not all angels ministering spirits sent to serve those who will inherit salvation?” (NIV). Notice that the service of angles is limited to “those who will inherit salvation.” The Bible does not present angels serving all of humanity, only believers. Second, this service includes guarding believers. Psalm 91:11 states, “For he will command his angels concerning you to guard you in all your ways” (NIV). Throughout the Bible, God sends angels to guard His people. We see Him send angels to guard the Israelites on their way to the promised land (Exodus 23:20), Daniel in the lions’ den (Daniel 6:22), and Peter from Herod’s murderous plans (Acts 12:11). Third, Jesus speaks of a special connection existing between particular believers and particular angels. He says in Matthew 18:10, “See that you do not despise one of these little ones [believers]. For I tell you that their angels in heaven always see the face of my Father in heaven” (NIV). 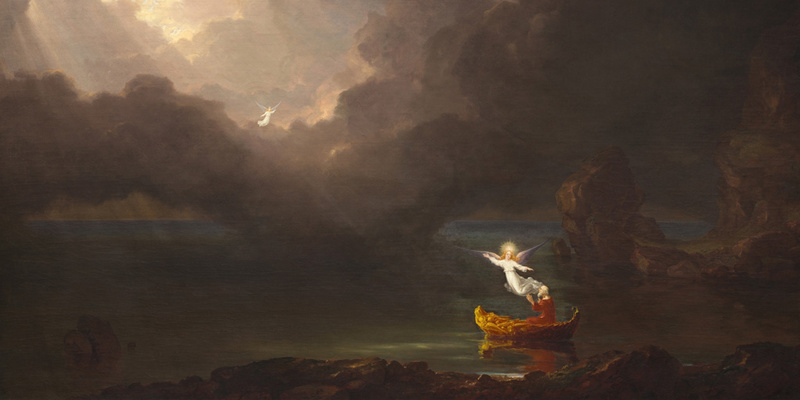 Although vague, the phrase, “their angels” depicts some kind of connection or assignment angels have with particular believers. This passage suggests that every believer is closely watched by at least one angel. Acts 12:15 may offer another example of there being a special connection between a particular individual and a particular angel. Earlier in the chapter an angel helps Peter escape from prison. When Peter knocks at the front door of a house church, the believers inside can’t believe it is actually him. They exclaim, “It must be his angel” (NIV). Many rightly note that this statement is merely reporting what the believers thought. Since even the statement itself is mistaken, it should not be pressed theologically. At most, it shows that this was a common idea at that time. Fourth, the Bible sometimes depicts several angels serving one individual. As seen above in Psalm 91:11, many angels are commanded to guard one individual. 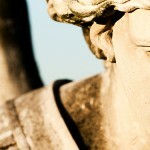 While the term “angels” is plural, the “you” in this verse is singular. In 2 Kings 6:16-17, God sends an army of angels to protect Elisha and his servant. Although the king of Aram had sent a strong force of horses and chariots to surround the city, Elisha says, “Those who are with us are more than those who are with them” (v. 16; NIV). Jesus also speaks of “the angels” (plural) carrying Lazarus to heaven when he died (Luke 16:22; NIV). Fifth, sometimes an individual angel is set as a guardian over an entire group of people. Daniel 12:1 describes Michael the archangel as “the great prince who protects your people [i.e., the Israelites]” (NIV). Furthermore, Daniel 10 also depicts there being specific evil angels who are princes over other nations like Persia or Greece. So not only do several angels minister to one individual, sometimes one angel ministers to many individuals. The Bible does not provide much to support a one-angel-to-one-person framework. To use a sports analogy, it depicts something closer to a zone defense than man-to-man. Sixth, the Bible teaches we should pray to God, not to angels. Jesus instructs, “This, then, is how you should pray: ‘Our Father in heaven…’” (Matthew 6:9; NIV). Jesus exemplifies this pattern in Matthew 26:53, “Do you think I cannot call on my Father, and he will at once put at my disposal more than twelve legions of angels?” (Matthew 26:53; NIV). Angels are God’s servants and not our servants, even though God sends them “for the sake of those who will inherit salvation” (Hebrews 1:14; NASB). Angels follow God’s bidding and not ours. Psalm 103:20 says, “you his angels, you mighty ones who do his bidding, who obey his word” (NIV). Furthermore, we do not need angels to mediate on our behalf. As Paul says in 1 Timothy 2:5, “For there is one God and one mediator between God and mankind, the man Christ Jesus” (NIV). Seventh, the Bible warns us not to worship angels. After all, Satan is an angel who fell due to his desire for worship (Isaiah 14:12-15; Ezekiel 28:14-16). Even now, “Satan himself masquerades as an angel of light” (2 Corinthians 11:14). Paul warns in Colossians 2:18, “Let no one disqualify you, insisting on asceticism and worship of angels” (ESV). Revelation 19:10 shows us that angels themselves find this abhorrent, “At this I [John] fell at his [the angel’s] feet to worship him. But he said to me, “Don’t do that! I am a fellow servant with you and with your brothers and sisters who hold to the testimony of Jesus. Worship God!” (NIV). Every believer lives under the protection of angels because they live under the watchful eye of God. In the Old Testament, God is called “the LORD of hosts” (NASB) or “the LORD of Heaven’s Armies” (NLT) 261 times. Psalm 95:7 celebrates that this God who reigns over all “is our God and we are the people of his pasture, the flock under his care.” Although God often carries out His care and protection through angels, our dependence and delight is to remain centered on Him alone. 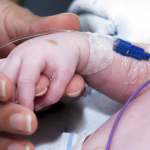 Do Infants and Young Children Who Die Go to Heaven? The Angel Craze in America: What’s Going On? 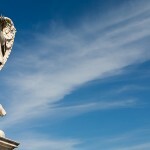 What examples illustrate how the popular angels distort the Bible?